This edition of the Celtic Haven Resort’s reviews of the county’s unique attractions sees us take an in-depth look at St Davids Cathedral, a world famous heritage site that has been the location of pilgrimages for members of the Christian faith for over a millennium. The cathedral is of course named after founder Saint David, the patron saint of Wales who is believed to have been born in Pembrokeshire between the years of 462 and 512. 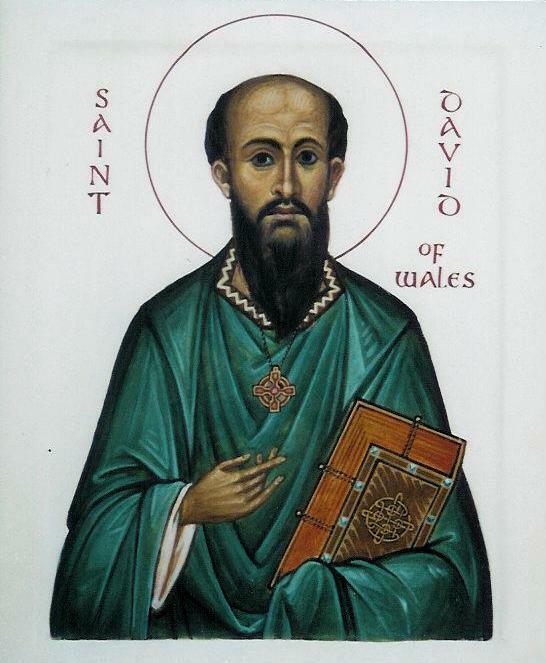 Saint David is said to have spent his formative years being educated by the monks of Cardigan Bay before eventually establishing his own monastery in a settlement that would go on to become what is now St Davids. Said to have traveled extensively throughout his life, preaching, establishing places of worship and undertaking pilgrimages to locations of religious significance as far away as Jerusalem, he is also alleged to have performed multiple miracles across his life. The most famous of his miracles is said to have taken place during one of his outdoor sermons, when the ground on which he stood rose up to form a hill as a white dove simultaneous landed on his shoulder, allowing the entire congregation of believers to see and hear him preach. Legend has it that St David passed away on the 1st March 589, the date on which the Welsh people now celebrate his importance in the nation’s development. It is also purported that the saint’s bones were buried at the cathedral, remaining there to this day! Since its foundation, the church has had an often tumultuous, occasionally bloody, history. Bishops have been murdered by raiders and marauders, historical figures like William the Conqueror have visited to worship and the site was all but destroyed by the forces of Oliver Cromwell on the creation of the Commonwealth of England. Extensive efforts have been made to restore and preserve the grandeur of the cathedral in recent decades, with maintenance work and modernisation coming to the fore under the guidance of a number of bishops. St Davids was officially reinstated with its city status before the turn of the second millennium, with the Queen conferring it upon the cathedral in a 1995 ceremony. Such commitment has seen the church flourish in recent times and has helped it re-establish its position as one of the leading culturing and tourist sites within Wales. To this day, the church remains active – with a regular congregation and a line of bishops that can be traced back to Saint David himself, the current incumbent of the position being the first woman to be made a bishop within the Church in Wales. Tourists are more than welcome to the site across the year, with guidebooks on the cathedral’s history available and a new-build café being one of the latest additions to this historic building. Home to beautiful artwork, stained glass windows, woodwork and artefacts that have been procured over the centuries, the cathedral’s rich history has seen the architecture become eclectic in nature but with a distinctively Gothic influence. Tombs and shrines adorn many of the cathedral’s walls and wings, whilst an ornate crucifix and beautiful organ draw the attention within the cathedral’s nave and apse. There is also a small library to explore up one of the beautiful spiralling staircases – for an additional fee. Externally, visitors to St David’s can explore the ruins of the Bishops Palace – a building that dates back to the 6th Century and has its own unique tale to tell. If you would like to learn more about St David’s Cathedral then you can do so via their official website. Check out this amazing footage of St David’s from the sky! For guests on short stays at our resort that might feel that the hour’s journey to St David’s is a little beyond them, there are still sites of historical interest to explore on this side of the county, too. Arguably the most beguiling of these is St Govan’s Chapel, a must-visit location for anyone that visits the county. The location is home to the incredible St Govan’s Chapel, a historic 13th Century chapel that has been painstakingly built into the rugged cliff sides and is accessible from the clifftop by climbing down a set of stairs carved into the cliff. Whilst the chapel is widely acknowledged to have been built in the 13th Century, some experts postulate that elements of the chapel could date back as far as the Sixth Century when Saint Govan moved into the location’s cave – some even purport that the monk himself may have been buried under the altar on his death. Just half an hour from the resort, the chapel is situated in an idyllic part of the county and could easily be featured into a day trip of exploring the tourist hot spots that aren’t far from the resort. Celtic Haven is one of Pembrokeshire’s leading Spa and Resort service providers, delivering boutique self-catering holiday cottages and expert spa and wellness treatments to all of its visitors.